Casinos can be a fantastic place to work – what with all the fancy décor, gourmet-style eateries, classy dress codes and overall buzzing atmosphere. Many people have claimed that they’ve acted as great stepping-stones into different career paths, especially as the average staff count in a casino tips between 200-2000 people based on a casino’s scale and size. So what kind of job opportunities are available exactly? Let’s take a look behind-the-scenes and see just who is responsible for what in these gambling havens. These are probably the most obvious ones. Dealers are usually the well-dressed entities who stand at the end of the poker and blackjack tables in a live casino, and croupiers are responsible for spinning the wheel in games of roulette. 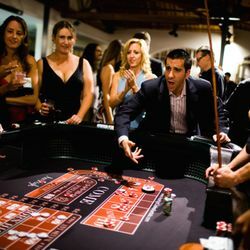 In order to become a dealer or croupier, the person must undergo an extensive training program which covers different aspects of the role such as, actions to take when a player is suspected of cheating, how to safely deal with drunk or aggressive gamblers, and becoming an expert in the rules of each game. Cage cashiers are responsible for handling all of the payouts, winnings, deposits, chips, and anything else which is money-related or to do with the administration of transactions. These are the people responsible for repairing and maintaining the casino’s different machines – particularly slots. They must also carry out tests on the machines to make sure they are performing as they are programmed too. Often these tests will be performed when a casino is full of people. If you’ve been caught cheating in a casino, it’s more than likely because you’ve been seen by these guys. 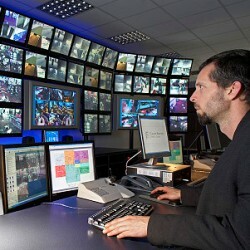 They sit behind the scenes, monitoring every player’s movements through cameras to make sure they are not partaking in any fraudulent activity. The security guys are there to kick the cheaters out, as well as anyone who might be displaying any aggressive or disorderly behavior. These are also known as the floor staff, and their main duty is to supervise the staff on each games as well as the tables. Pit bosses are also responsible for explaining the house rules, dealing with complaints, queries and assist in organizing the overall gaming activities. 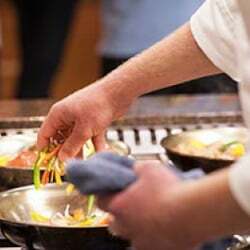 Casino chefs are responsible for cooking all of the meals and snacks available in the establishment. They have to undergo strict training when it comes to producing food in mass volumes and accommodating hygiene standards. All casinos have alcoholic drinks and beverages on offer. 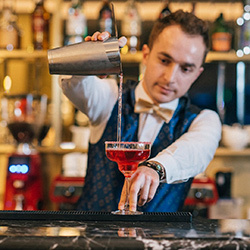 Staff serving guests need to have some kind of previous bartending experience in order to work in casinos. Ideally the individual would know about the liquor laws applicable to that state, and need to know when they should refuse service to a customer. 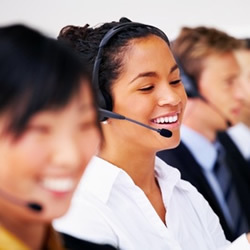 These are a casino’s support center, and they tend to handle any general queries surrounding the day to day operations, as well as customer complaints, the generation of new leads, and player retention. Receptionists may be responsible for both the casino as well as the hotel if it is all part of the same complex. Like the support team, they will have to handle general queries too, but less around the actual games and the casino and more to do with accepting deliveries, restocking the casino’s produce, arranging conferences, parties or functions and booking customers into rooms (if applicable). Although cage cashiers are responsible for all of the money handled on the actual floor, accountants are the ones working behind the curtain to make sure all of the monetary columns add up. Thorough checks need to be carried out daily, weekly, and monthly, and collated into reports ready to hand over to the tax man. 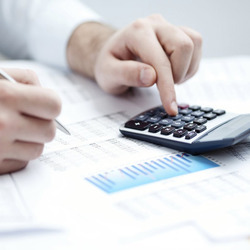 Individuals must be qualified with a bachelor’s degree in this field, or have prior accounting experiencing. 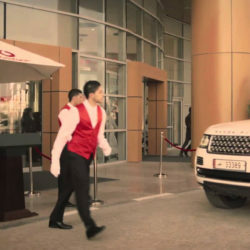 The role of a Valet driver is to pick up and drop off the guest’s cars, and find a designated parking space for each vehicle. Occasionally their services may extend to cleaning the cars upon request, but ultimately the role is focused on the transportation of the cars. Locksmiths are responsible for the replacement and maintenance of locks and keys inside casino establishments. They will create duplicates, or re-key locks where necessary. Usually 1-3 years’ experience is required and the individual should have proficient knowledge about the field of work. 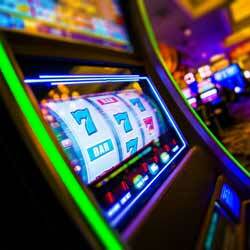 So there are some of the main job roles you will often find in a standard brick-and-mortar casino. They can be fantastic establishments to work in, with many promising opportunities for growth, reasonable salary expectations, and the chance to become a master in that line of work. Not all of them pay as well as the other, but most are certainly a good starting point for those looking to jump on the career ladder. Have you worked in a casino before? We’d love to hear about your experience!